Last Fall manicure before i switch to Christmas ones! 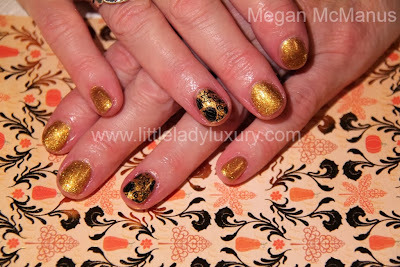 This was a simple manicure using Young Nails Gold 101 and Bundle monster's Holiday 2013 plate BM-H11 and black stamping polish. Short, sweet, simple, and very pretty!